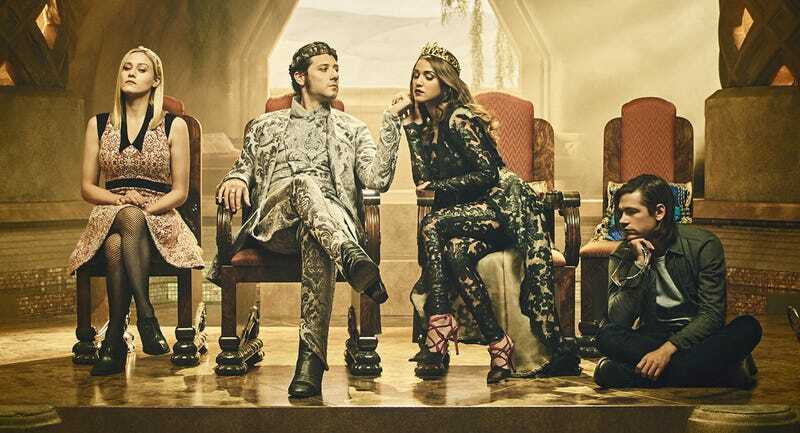 The Magicians TV show has evolved into like one of those things that seem just too good to be true: an adaptation of beloved genre work that actually deepens and expands upon the spark of the original work. Season two of the Syfy fantasy series just started and, today, you can ask the guy who wrote the books how he feels about it all. When the first Magicians novel came out years ago, it gave readers a grounded take on magickal fiction that operated across a believable spectrum of human behavior. The twentysomething main characters who drank, swore, and screwed around in all too familiar fashion did so with excesses that soared to dizzying heights, because they could flout the laws of nature. Grossman put forth a mix of grandeur, self-loathing, and hard-won maturation in the trilogy, which developed a dedicated fanbase. An TV adaptation of the books debuted in late 2015 and season two of The Magicians just aired its third episode last night. Some major stuff went down and we’ve got Grossman here to answer your questions about the show and his work from 1 p.m. to 2 p.m. ET.